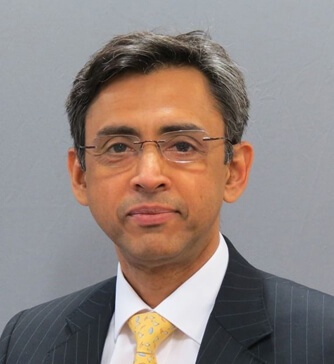 Mr Satya Bhattacharya has worked as a Consultant Surgeon at the Royal London St Bartholomew’s Hospitals since 1999. He is Clinical Lead for the multi-disciplinary team (MDT) for liver and pancreas cancer in North-East London. He has over 50 publications in surgical journals and serves as a referee (peer reviewer) for 4 international surgical journals. He is active in postgraduate teaching, and is a Member of the Intercollegiate Examinations Faculty of the Royal Colleges of Surgeons. He has raised over £350,000 for research into pancreatic and liver disease in the past years, to help run several research projects at the Barts. Satya grew up in Mumbai, India, and qualified as a doctor from the Grant Medical College. He trained in specialist surgery of the liver, pancreas and bile ducts at the Royal Free and University College Hospitals, London. He was a visiting Fellow at the University of Minnesota with a grant received from the King’s Fund. Satya was listed in the Tatler Doctors Guide 2013 as one of Britain’s “250 best consultants”.